THE Salvation Army in Gladstone has been run off its feet in the lead-up to Christmas - and it's not even over yet. 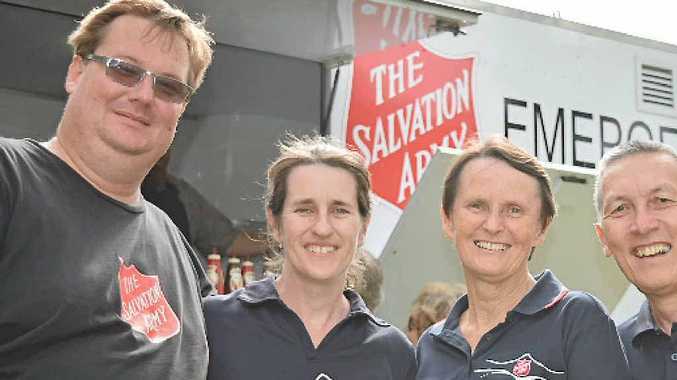 In one month the Salvos' Christmas Cheer program has raised close to $18,000 to help out residents doing it tough in what is meant to be a happy time of the year. This year the Salvos have seen an increase in the number of people seeking assistance with the bulk of the money going towards Christmas presents, vouchers and food hampers for locals. Lieutenant Chris Ford said the Salvos had tried to help as many people as they could. "I don't think anyone missed out but we've had to deal with close to double the usual number of people we help out at Christmas," he said. "We assess people on merit and give out what people need depending on their circumstances." Chris said the biggest issues facing Gladstone was the lack of work. "There's no work and no income for some families which can lead on to things like domestic violence," he said. "We're still fielding lots of calls but it's the season to be generous and we want to be that shining light."